Draft: 2012, Chicago Cubs, 18th rd. David made his major league debut in 2018 ... was added to the Cubs 40-man roster, November 20, 2017, and is in his eighth professional season since he was selected by the Cubs in the 18th round of the 2012 Draft ... In seven minor league seasons, he has batted .263 (549-for-2,090) with 127 doubles, 13 triples and 52 homers in 604 games ... Has seen his most extensive time in the minors at second base (331 games), but has also logged at least 80.0 innings at every position except for pitcher and catcher ... Was a member of the 2017 Arizona Fall League Fall Stars East squad ... Named to both the 2017 Southern League mid-season and post-season All-Star Teams ... Selected as the Cubs Minor League Player of the Month for August of 2016 by the organization ... Named to the 2013 Northwest League East Division All-Star Team ... Attended Neosho County Community College in Chanute, Kan. ... graduated from Faith Christian Academy in Arvada, Colo.
David made his major league debut in April and registered numerous clutch hits for the Cubs, including two walk-off homers and seven game-winning RBI ... Ranked fourth among N.L. rookies with 24 RBI after the All-Star Break ... Batted .275 (14-for-51) with five doubles and two homers against lefties, compared to .226 (30-for-133) with four doubles, two triples and four homers against righties ... Saw time at third base (56 games), second base (13), shortstop (2), first base (2) and left field (1) ... Was selected from Triple-A, April 21, and made his major league debut that night at Colorado ... doubled in his first at-bat and finished 1-for-3 ... Hit his first major league homer, July 4 vs. Detroit, going 1-for-3 with a solo homer and a walk ... Hit a game-tying two-run homer in the ninth inning, July 26 vs. Arizona ... Anthony Rizzo followed with a walk-off solo homer in the Cubs' 7-6 victory ... Hit one of the most dramatic home runs in Cubs regular season history, August 12 vs. Washington, connecting on a pinch-hit, walk-off grand slam with two outs in the bottom of the ninth inning to lift the Cubs to a 4-3 victory ... marked his first-career pinch-hit homer and grand slam ... Became the first Cub to belt a pinch-hit walk-off grand slam since Earl Averill, May 12, 1959 vs. Milwaukee ...Was the Cubs first walk-off grand slam when trailing by three runs since Ellis Burton, August 31, 1963 vs. Houston (down 5-2, win 6-5) ... Was the first major leaguer to hit a walk-off grand slam down three runs with two outs and two strikes on the batter since Baltimore's Chris Hoiles on May 17, 1996 vs. the Mariners ... Became the second player in MLB history to hit a walk-off grand slam with his team trailing 3-0 at the time … the other was Samuel Byrd for the Reds vs. Pirates on May 23, 1936 ... Was the Cubs first pinch-slam since David DeJesus' shot, May 11, 2012 at Milwaukee, and the first at home since Derrek Lee, May 19, 2007 vs. the White Sox ... Hit another walk-off homer, August 24 vs. Cincinnati, breaking a 2-2 tie in the 10th inning ... became the first Cub with two walk-off homers in a single season since Kris Bryant did so as a rookie in 2015 ... Gabby Hartnett (1923) is the only other Cubs rookie with multiple walk-off homers ... Became the third rookie in MLB history with multiple walk-off homers in a single month, joining Chris Young (June, 2007) and Luke Easter (September, 1950) ... thanks STATS Inc ... Added a game-winning RBI double in the 10th inning, September 6 at Washington ... lifted the Cubs to a 6-4 win in 10 innings ... Hit .268 (63-for-235) with 10 doubles, two triples and 13 homers in 61 games with Triple-A Iowa, making his final appearance with the club, July 24. David hit .272 (128-for-470) with 30 doubles and three triples while setting career marks with 14 homers and 59 RBI in 127 games for Double-A Tennessee ... also set career highs in walks (49), runs scored (65), hits and games played... Led the Smokies in doubles, extra-base hits (47), batting average and OPS (.792)... Named to the mid-season and post-season Southern League All-Star squads... Recorded 29 multi-hit games, including two season-high four-hit contests ... had a two-homer game, August 23 at Montgomery... Batted .305 (40-for-131) with a .783 OPS against left-handed pitching ... hit .260 (88-for-339) with a .794 OPS against righthanders... Played predominantly at second base (107 games), logging a .988 fielding percentage (6 E/515 TC)... Played for Mesa Solar Sox in the Arizona Fall League, and was named AFL Player of the Week for the league's opening week ... named to the AFL Fall Stars Game at season's end. Combined to bat .328 (106-for-323) with a .399 on-base percentage and an .892 OPS in 91 games between Single-A Myrtle Beach, Double-A Tennessee and Triple-A Iowa ... collected 26 doubles, three triples, seven homers and 45 RBI, spending the majority of the season with Myrtle Beach... In 72 games with Myrtle Beach, hit a team-leading .337 (93-for-276) with 26 doubles, six homers, 41 RBI, a .410 OBP and a .928 OPS... Batted .351 (88-for-251) with 32 extra-base hits in 65 games in the Carolina League's second half... Was named the Cubs Minor League Player of the Month for August, hitting .367 with a .439 OBP that month... Named the MVP of the Carolina League Playoffs after hitting .577 (15-for-26) with five doubles, five walks, five runs scored and nine RBI in seven games, helping the club to the Mills Cup title. Split the season between Single-A Kane County and Single-A Boise with a brief stop at Triple-A Iowa ... combined to hit .235 (77-for-327) with 23 doubles, four homers and 40 RBI... Opened the campaign with Kane County before he was transferred to Boise for seven games, June 13-19 ... moved back to Kane County, June 21, then returned to Boise for a 30-game stint, July 24-August 26 ... hit .243 (27-for-111) in that span for the Hawks... Finished his season with four games for Iowa, August 27-September 1, going 4-for-10 at the plate. In his first full season in the Cubs chain, spent a majority of the season with Single-A Boise, hitting .250 (58-for-232) with nine doubles, six homers and 31 homers in 69 games ... also saw time with Single-A Kane County (17 games) and Single-A Daytona (four games)... Named to the Northwest League South Division All-Star Team. Made his pro debut with Rookie League Mesa, playing in 38 games ... hit .232 (29-for-125) with seven doubles, three triples, one homer and 14 RBI ... recorded a .349 on-base percentage and a .709 OPS. 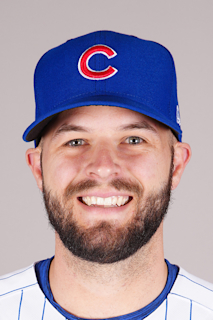 April 23, 2019 Chicago Cubs placed 3B David Bote on the paternity list. July 26, 2018 Chicago Cubs recalled 3B David Bote from Iowa Cubs. July 16, 2018 Chicago Cubs optioned 2B David Bote to Iowa Cubs. July 15, 2018 Chicago Cubs recalled David Bote from Iowa Cubs. July 11, 2018 Chicago Cubs optioned 2B David Bote to Iowa Cubs. June 26, 2018 Chicago Cubs recalled David Bote from Iowa Cubs. May 17, 2018 Chicago Cubs optioned 2B David Bote to Iowa Cubs. May 8, 2018 Chicago Cubs recalled David Bote from Iowa Cubs. April 28, 2018 Chicago Cubs optioned 2B David Bote to Iowa Cubs. April 21, 2018 Chicago Cubs recalled David Bote from Iowa Cubs. March 13, 2018 Chicago Cubs optioned 2B David Bote to Iowa Cubs. November 20, 2017 Chicago Cubs selected the contract of David Bote from Tennessee Smokies. April 5, 2017 2B David Bote assigned to Tennessee Smokies from Myrtle Beach Pelicans. February 25, 2017 2B David Bote assigned to Chicago Cubs. June 23, 2016 2B David Bote assigned to Myrtle Beach Pelicans from Tennessee Smokies. June 11, 2016 3B David Bote assigned to Tennessee Smokies from Myrtle Beach Pelicans. June 8, 2016 3B David Bote assigned to Myrtle Beach Pelicans from Iowa Cubs. May 20, 2016 3B David Bote assigned to Iowa Cubs from Myrtle Beach Pelicans. April 29, 2016 Myrtle Beach Pelicans placed 3B David Bote on the 7-day disabled list. April 6, 2016 3B David Bote assigned to Myrtle Beach Pelicans from South Bend Cubs. March 10, 2016 IF David Bote assigned to Chicago Cubs. April 6, 2015 3B David Bote assigned to South Bend Cubs from Iowa Cubs. August 27, 2014 3B David Bote assigned to Iowa Cubs from Boise Hawks. July 24, 2014 3B David Bote assigned to Boise Hawks from Kane County Cougars. June 20, 2014 3B David Bote assigned to Kane County Cougars from Boise Hawks. June 10, 2014 2B David Bote assigned to Boise Hawks from Kane County Cougars. March 31, 2014 2B David Bote assigned to Kane County Cougars from Boise Hawks. June 11, 2013 2B David Bote assigned to Boise Hawks from Kane County Cougars. April 1, 2013 David Bote assigned to Kane County Cougars from AZL Cubs. March 22, 2013 2B David Bote assigned to Chicago Cubs. June 26, 2012 David Bote assigned to AZL Cubs from Chicago Cubs. June 25, 2012 Chicago Cubs signed SS David Bote.